”Since 1985, the Muswellbrook Art Prize has grown and evolved and is today one of the richest prizes for painting in regional Australia. 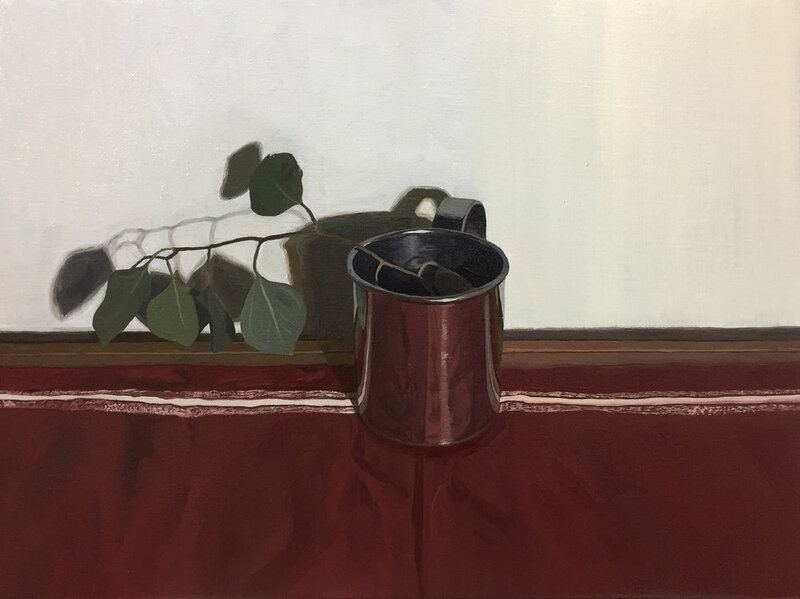 Finalists for the 46th Muswellbrook Art Prize in 2019 vie for a total of $71,000 prize money across four prize categories: Painting ($50,000 acquisitive), Works on Paper ($10,000 acquisitive), Ceramics ($10,000 acquisitive) and People’s Choice ($1,000 non-acquisitive). So i’ve never really kept a blog before, and doubt i’ll start in any serious way now, but I like the idea of having a little space outside the conventional “social” apps to update with news, shows, exhibitions and also other bits and pieces that delve a little deeper than I might elsewhere on the internet. Who knows! Let’s see. It seems a strange time to post in “news” since my surprisingly busy year is drawing to a close, and as I attempt to relax and regenerate before the new year begins. My right hand hurts with what is probably the beginnings of RSI, but as I write this I am soothed by the sound of late spring rain on the roof, and the aniseed smell of deep heat which I’ve rubbed vigorously into my palm and wrist. Since I haven’t got any ‘news’ just yet, I guess I can recap on the last few months which have been hectic but really rewarding. I did my first solo residency, accompanied by my lovely ensemble, at Longplay in North Fitzroy. It was a big challenge for a few reasons, but I was so humbled by the response, and all the old and new faces that came along. 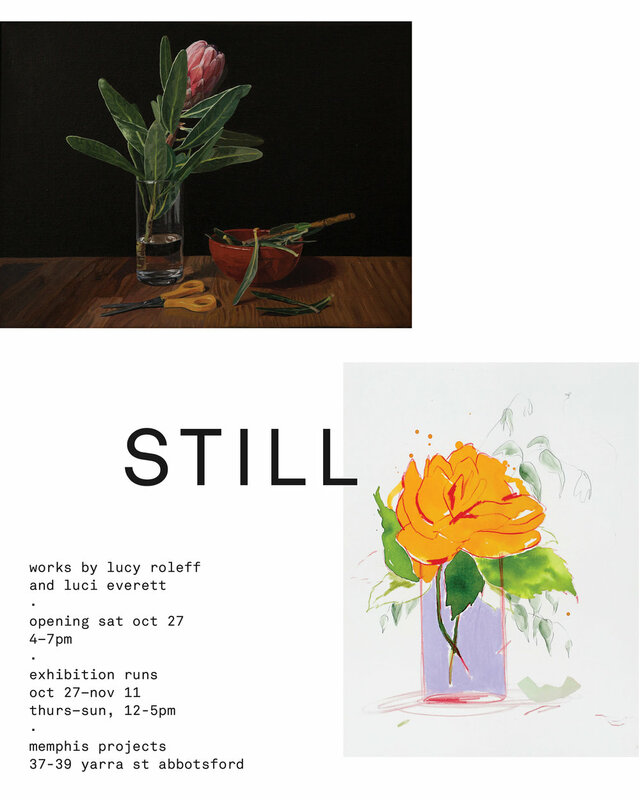 I also had an exhibition with one of my favourite Melbourne artists, Luci Everett. I showed ten paintings which I spent the last six months making in my studio, and am really pleased that most of them have gone to new homes! I didn’t feel like I was that busy but after everyone kept insisting I was, and then feeling myself crashing spectacularly once my final gig on Friday was over, I realised that it probably was the case. But it’s nice to be busy with something that is self-initiated isn’t it? I feel happy I did those two things because both seemed pretty daunting to begin with. For some reason that Eleanor Roosevelt quote has been following me, “You must do the thing you think you cannot do.” Wise words, E.R. Anyway, that’s quite enough for a first post! Above is the flier that Luci made for our exhibition -just for a bit of colour, really! I’ll hopefully be back soon with some music or art news as it comes.